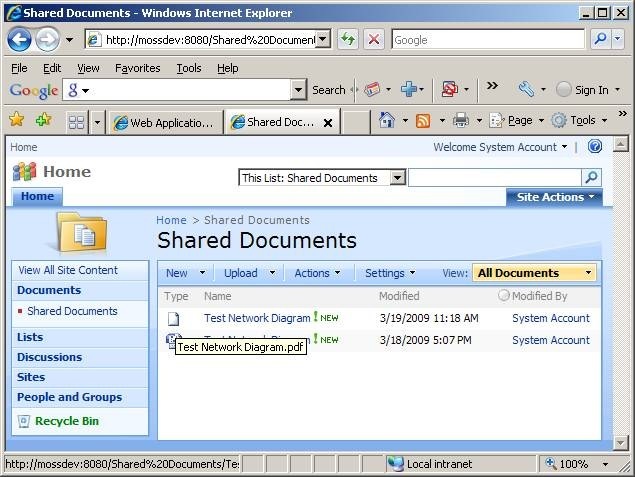 I’ve seen several examples of creating document converters in SharePoint that convert documents to PDF format, using tools like Aspose and other print-based solutions. Print based conversion – This is the Acrobat Distiller approach. Uses a printer driver that accepts the PostScript output from an application (such as Microsoft Word), and converts it to PDF. This approach results in the most accurate conversions, but is hardest to automate because it involves opening the native application and automating its “Print” functionality. 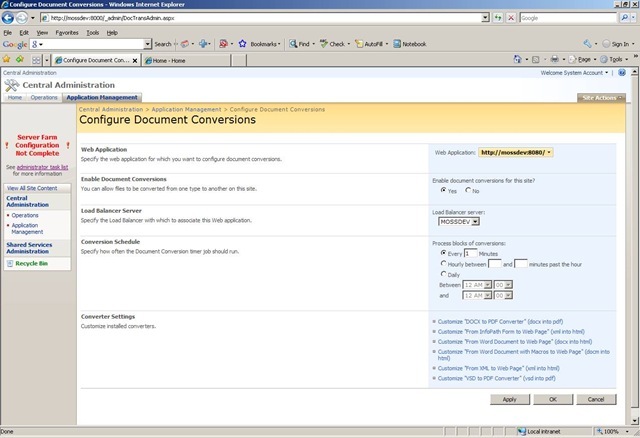 Interpretive conversion – This is an approach that reads the contents of a native file format and translates the contents into PDF format. This results in potentially less accurate conversions, but is much easier to automate. Outside In, and in particular the PDF Export SDK, is an EXE and set of DLLs that contains logic to covert over 400 different file types to PDF. 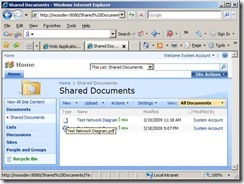 In combination with Transformation Server (a web services wrapper to PDF Export), you can create SharePoint Document Converters that will convert your documents to PDF format. Download PDF Export, Transformation Server, and SrvAny.exe. You’ll have to register with an Oracle account to get it, but it is a freely available trial version, and does not appear to have any trial expiration limitations. Extract the contents of the Transformation Server zip you downloaded to a folder on your server that will do the document conversions (e.g. “C:PDFConverter”). There will be a bunch of dlls, some wsdl files (we’ll use those later), some EXE’s (which are run as a service), and some XML config files. Transformation Server doesn’t really know anything about PDF generation, it is just a web service wrapper, so we’ll need to place the PDF Export library into our folder so it can use it. 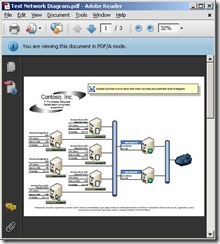 Extract the contents of PDF Export 8.3.0 to a separate folder on your machine. Grab every DLL in the root folder, as well as exporter.exe, px.cfg, and cmmap000.bin and copy those files into “C:PDFConverter”. Go ahead and double-click tsmanager.exe to make sure it is working. It should open a console window and show you what host/port it is listening on. Press Ctrl + C to quit. C:PDFConverter<span style="color: #0000ff">&gt;</span>instsrv.exe &quot;Transformation Server&quot; c:PDFConvertersrvany.exe The service was successfuly added! Make sure that you go into the Control Panel and use the Services applet to change the Account Name and Password that this newly installed service will use for its Security Context. newly installed service will use for its Security Context. Open regedit, and browse to HKEY_LOCAL_MACHINESYSTEMCurrentControlSetServicesTransformation Server. Create a new key called Parameters, and add a new string value inside this key called Application, with a value of C:PDFConvertertsmanager.exe. Go to the services console and start the Transformation Server service. Optionally, you can also go to the Properties for this service account, and change the Identity that this service runs under. 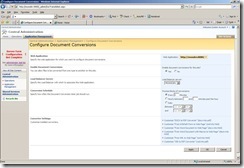 Create a new .NET C# console application project and solution from within Visual Studio 2008, called PDFConverter. Since the wsdl files for Transformation Server are not compliant with WCF services, choose the Advanced… button on the Add Service Reference dialog, and then choose the Add Web Reference… button to add a .NET 2.0 style web service reference. 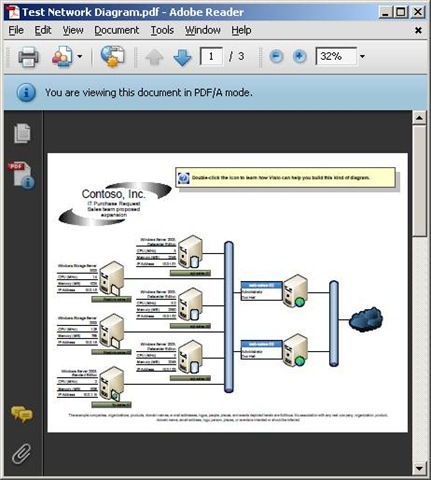 In the Add Web Reference dialog, enter the path to the wsdl file: C:PDFConvertertransform_net_2005.wsdl. Hit Go. Once your web reference has resolved, enter TransformationServer in the Web reference name box and click the Add Reference button. Most of this code is cut-and-paste from the sample, and we are just swapping the input file path (source.spec.str) and output file path (sink.spec.str) with the arguments from the command line. To install the converter, you need to create a feature file, install the feature, and place the converter EXE in the proper directory. Create an Elements.xml file, and add the following code. You can create as many document converter nodes as you need for each file type you want to convert (just make sure each has a unique guid). Place both these files in a folder called PDFConverter in your …/12/TEMPLATE/Features folder, and use stsadm to activate the feature on a particular web application. C:Program FilesCommon FilesMicrosoft Sharedweb server extensions12BIN<span style="color: #0000ff">&gt;</span>stsadm -o installfeature -name PDFConverter Operation completed successfully. C:Program FilesCommon FilesMicrosoft Sharedweb server extensions12BIN<span style="color: #0000ff">&gt;</span>stsadm -o activatefeature -name PDFConverter -url http://mossdev:8080 Operation completed successfully. Since you are using a Web Service, a proxy class needs to be generated dynamically, and so you’ll need to give your SharePoint Document Conversion User Account rights to create this in C:WindowsTemp (or whatever your system temp directory is). Grant List Folder Contents and Read permissions to the Document Conversion account (usually a local machine account that starts with “HVU_”) on your Temp folder. The Document Conversion service stores temporary documents in the following folder: C:Program FilesMicrosoft Office Servers12.0BINHtmlTrLauncher. By default, this folder only grants the Document Conversion User account access. Since the Transformation Server windows service is running under its own account, you need to give this account access to the folder. Grant the account that your Transformation Server windows service is running under Read and Write access to this folder. Navigate to your SharePoint site. Upload a document into your document library (make sure it is a file extension that you’ve configured in your Elements.xml file). Open the drop down menu and choose Convert Document. Your document converter should appear in the list. Run the conversion. After around a minute if you refresh your document library and all went well, you should see your PDF file in the library. Windows cannot copy file C:Documents and SettingsDefault UserApplication DataMicrosoftCLR Security Configv2.0.50727.42security.config.cch.4940.305000 to location C:Documents and SettingsHVU_I00841Application DataMicrosoftCLR Security Configv2.0.50727.42security.config.cch.4940.305000. Possible causes of this error include network problems or insufficient security rights. If this problem persists, contact your network administrator. The document converter was not able to convert the file. Any insight would be greatly appreciated. Thanks. 1. Can it take any office file (doc, docx, xls, xlsx, ppt, visio, pdf, jpg, jpeg, gif, tiff) and output to PDF/A with this method? If yes, please confirm or test as I dont have anything setup according to your instruction. It would REALLY REALLY help me. Just landed on this place via Google search. I love it. This post change my percept and I am acquiring the RSS feeds. Cheers Up.